I hope you are all having a wonderful day with your loved ones! A few days ago I posted a video on how to make a bow tie using the Tailored Tag Punch. I thought I would make a few more, just for chuckles. 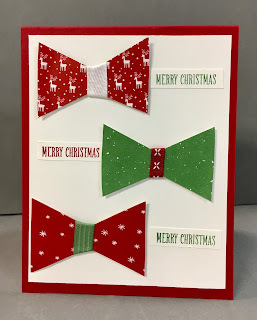 I used scraps of Be Merry designer series paper for some of them and ended up making a card. 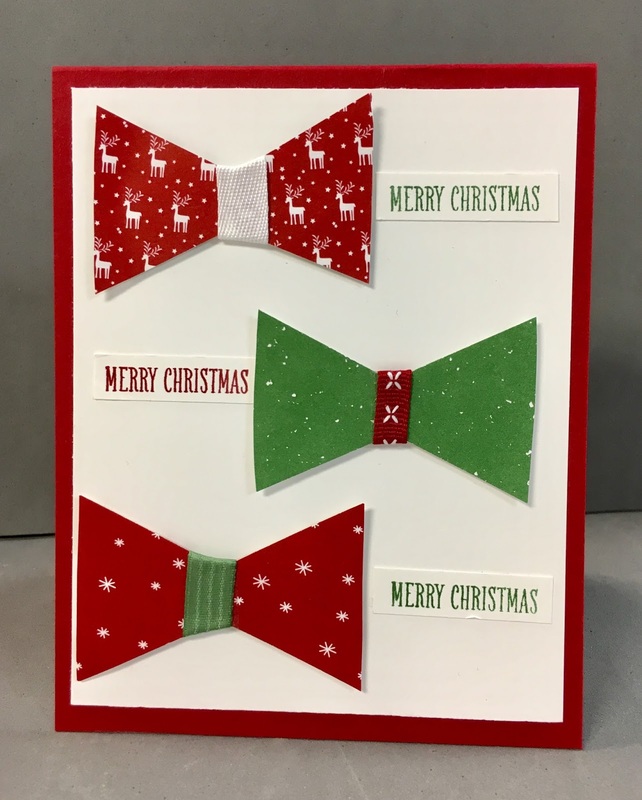 I thought I would post one last Christmas card for 2017.